GITAM GAT 2019: GITAM GAT 2019 Slot Booking has commenced from today (5th April 2019). 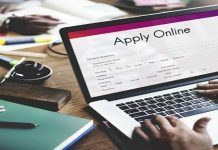 The GITAM GAT 2019 Admit Card will be available as soon as the candidate will book a slot. The last date to book a slot as well as to download an admit card is 7th April 2019. The GITAM GAT 2019 application form will close on 30th March 2019. The GITAM GAT 2019 will be conducted for admission to Gandhi Institute of Technology and Management. GITAM GAT 2019 Application Form has been released on the official website. Those candidates who take the GITAM GAT 2019 and qualify the same will be given admission Bengaluru, Hyderabad and Vishakhapatnam campuses of the institute. Applicants of the entrance exam must make sure that they fulfill all the eligibility criteria and apply for the GITAM GAT 2019 exam. Registered students can now book a slot as GITAM GAT 2019 Slot Booking has been made available from today. Make sure to book a slot before the given deadline by clicking on the given link. The GITAM GAT 2019 Admit Card will be published for those candidates who will book a slot. Candidates can download the admit card till 7th April 2019. The last date for the receipt of GITAM GAT 2019 Application form is 30th March 2019. Fill it before the form ends. 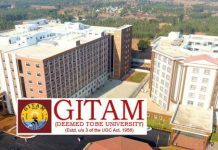 Gandhi Institute of Technology and Management has released the Application Form for GITAM GAT 2019 and the last date for the submission of the Application is 30th March 2019. Click here to check the Brochure of GITAm GAT 2019. GITAM GAT stands for Gandhi Institute of Technology and Management (GITAM) admission Test. The exam is conducted for admission to various undergraduate engineering courses. GITAM GAT 2019 will be held in the online mode between 10th April to 22nd April 2019. Candidates who wish to take the exam can fill the application form which is now available in the online mode. Aspirants who are going to take the exam must make sure to check the dates for all events and their corresponding dates given in the table below. The examination conducting body has announced a few of the Important Dates mentioned below. The Highlighted dates are officially announced. You must have passed class 12th examination with at least 60% marks in Physics, chemistry, and Mathematics. Those candidates who are applying to B. tech biotechnology will be required to obtain at least 60% in Physics, chemistry, mathematics, and Biology. Candidates who are going to take the entrance exam are required to fill out and submit the GITAM GAT 2019 application form. The GITAM GAT 2019 application form is available in both online and offline mode. Candidates must provide only the correct details as this is the crucial step of examination. GITAM GAT application form is available online and can be obtained through post also. All applicants are required to fill out and submit the application form and also submit an application fee. The GITAM GAT 2019 Application fee is Rs. 1000 for all candidates and Rs. 600 for female candidates. GITAM GAT 2019 will be conducted in the online mode. The exam will be held for a duration of 2 hours i.e. 120 minutes. Questions will be of Multiple choice type. There will be 40 questions from Mathematics and 30 questions from each Physics and Chemistry. There will total 100 questions marked out of 400. 4 marks will be awarded for each correct answer and 1 mark will be deducted for each incorrect answer. Candidates must make sure that they check the syllabus of GITAM GAT 2019. The official syllabus will be released in the official exam brochure of the university. The Syllabus will consist of topics from physics, chemistry, and mathematics studied at the 10+2 level. The exam centers prescribed by the GITAM University are the places where candidates will be required to take the examination. You can check the list of exam centers where the exam takes place. The GITAM GAT 2019 slot booking is important for all the candidates to take the exam as well as to issue the admit card. Candidates can start booking their slots from today onwards till 7th April 2019. During slot booking, candidates will be required to select their exam center and the date and time through GITAM GAT 2019 online slot booking system. In case candidates do not book a slot for themselves, the system will automatically book a slot for them. Only after a slot has been booked, will the candidate be able to download the admit card. The GITAM GAT 2019 admit card will be released from 5th April 2019 onwards for those who have successfully submitted the application form and booked a slot before the deadline. The admit card is one of the most important documents that the candidates must carry to the exam center on the exam day. GITAM GAT 2019 Admit card will carry all important details like name of the candidate, date and time of the exam, full name and address of the exam center. Without the admit card candidates will not be allowed to take the examination. The aspirant must also carry one of the government photo id proof for verification. If you are appearing for GITAM GAT 2019, you can check the listed of B. Tech courses to which you can apply through GITAM GAT 2019. The results of GITAM GAT will be released on 26th April 2019. All candidates who have taken the exam will be able to check their results in the online mode by entering their exam roll number and date of birth. If you are checking your result, you must make sure that you take a print out of the same for future reference. All the eligible candidates will be required to appear for GITAM GAT counselling 2019. Students who have been selected for counselling will be sent a counselling call letter and will be required to download the same. Candidates have to appear in person for GITAM GAT 2019 and fill in the choices of their college and course. Seats will be allotted to all candidates based on their rank in the exam and the choices filled. The reporting candidate will be required to bring the counselling letter, the documents for verification and pay the tuition fee.